Home » ★★☆☆☆ » Shaun Dickens at the Boathouse. Not floating my boat. Shaun Dickens at the Boathouse. Not floating my boat. 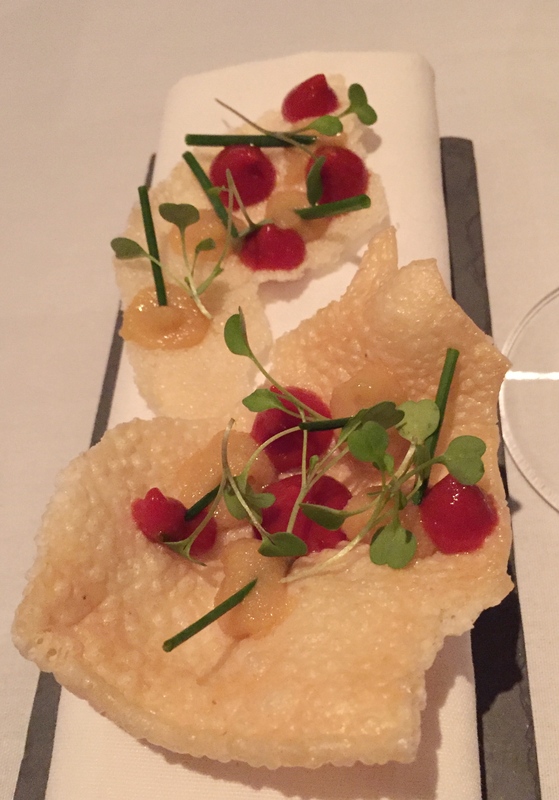 I’ve booked and cancelled Shaun Dickens at the Boathouse in Henley on more than one occasion, simultaneously attracted by his stated pedigree and put off by pictures of somewhat overwrought food. It’s quite fussy plating, the like of which will generally have me running for the hills, unless I know that they know what they are doing. But the chef’s pedigree and the fact that it has won a brace of awards emboldens me. Given the paucity of local choice, I am willing it to be good. 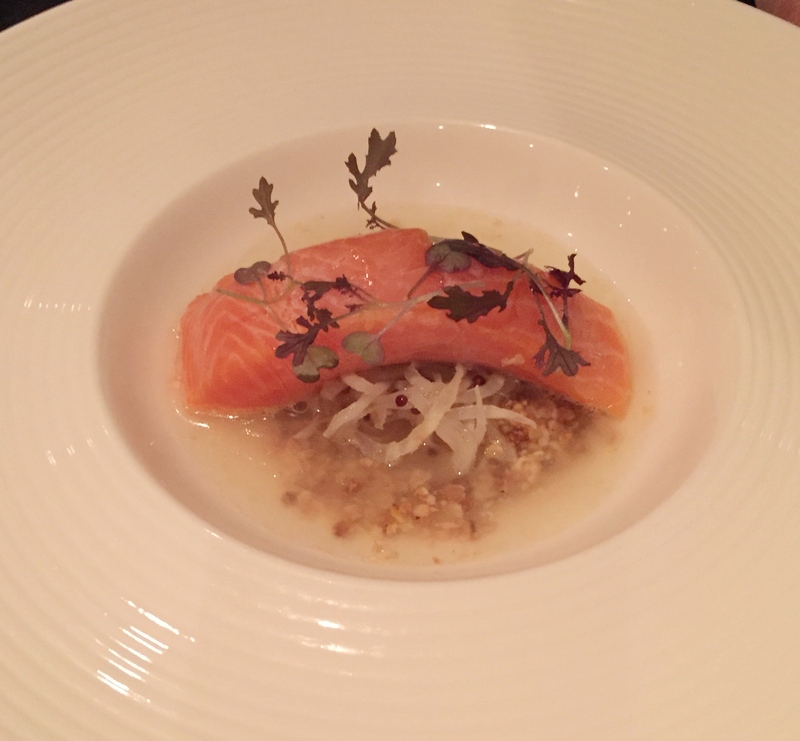 Shaun Dickens says on his website that he has worked closely with “chefs of international repute, including Raymond Blanc and Thomas Keller.” I’d start by taking a leaf out of their books when it comes to composing the menu. Other than at the blessed St John-which-can-do-no-wrong, I struggle with menus which simply list a main ingredient and some subsidiary ones, leaving you with no indication whatsovever as to what you might be getting. It’s not practical to ask for the whole menu to be explained, so you end up taking your chances with the key ingredient you fancy most. The room is a former boathouse, light and airy and no doubt lovely in summer, when you can sit outside adjacent to the river. Trying a little too hard to look like a serious restaurant, it doesn’t quite pull it off and is a little stark and the bar area doesn’t quite work. But it is comfortable and there are good wineglasses and interesting plates and cutlery. There’s also a good and well-chosen wine list, with a reasonable section of classics by the glass. Service started out very well, with a jolly, enthusiastic waitress and a polished maître d’, but it sometimes didn’t hit the mark and became more erratic as the evening wore on. Butter was already out on the table when we sat down and I noticed that it was on every table whether occupied or not. So for later eaters, the butter will most likely have been there for hours. Something fluffy had settled on ours and I had to remove it with my knife. There were a couple of amuse which were fine, deep-fried caraway balls and a couple of puffed crackers with a relish and a purée.An extra course of beetroot slices, beetroot gelée and smoked trout with beetroot leaves was also tasty and prettily arranged, though I personally wouldn’t have used pickled beetroot for the gelée. A small glass of Sauternes to accompany my foie gras came fifteen minutes before the food so obviously I drank that and then I had to order another one when the food arrived. That glass took too long to arrive and it was full of the lees of the bottle. 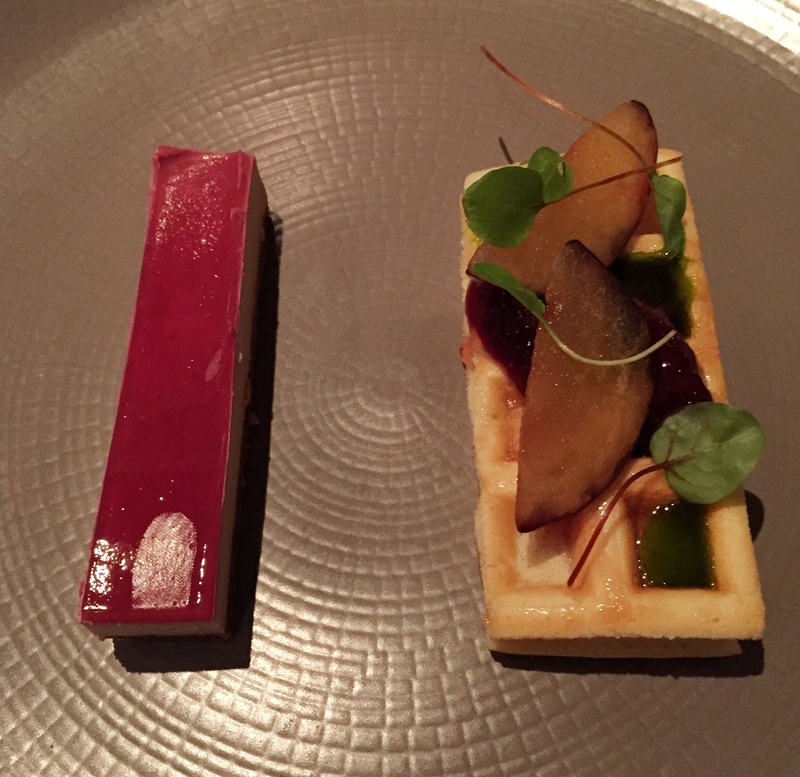 The FOIE came in a precise slab, on some sort of biscuit base with a sweet fruit glaze. There was a thumbprint on the glaze. It wasn’t mine. If I shut my eyes, the foie tasted like cheesecake, overwhelmed by the too-firm biscuit and the fruit glaze. The waffle which accompanied it was fridge-cold and too firm. The plum compôte on the waffle was good. Had the waffle been softer and more delicate and even warm, this dish would have worked much better. I’d definitely ditch the cheesecake-style base from the slab of foie. 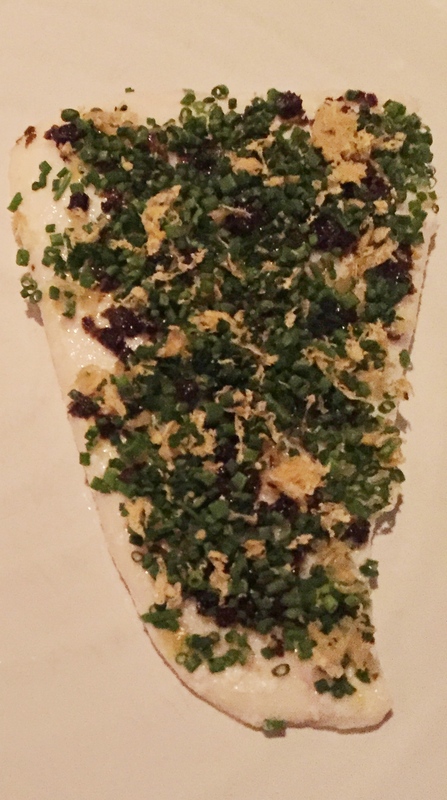 C had the “SMOKE” TROUT, celeriac, maple and mustard. The “smoke” was a broth in a jug, smoking. I had a mouthful and it was fine, the celeriac very thinly shredded and the dish well-presented. 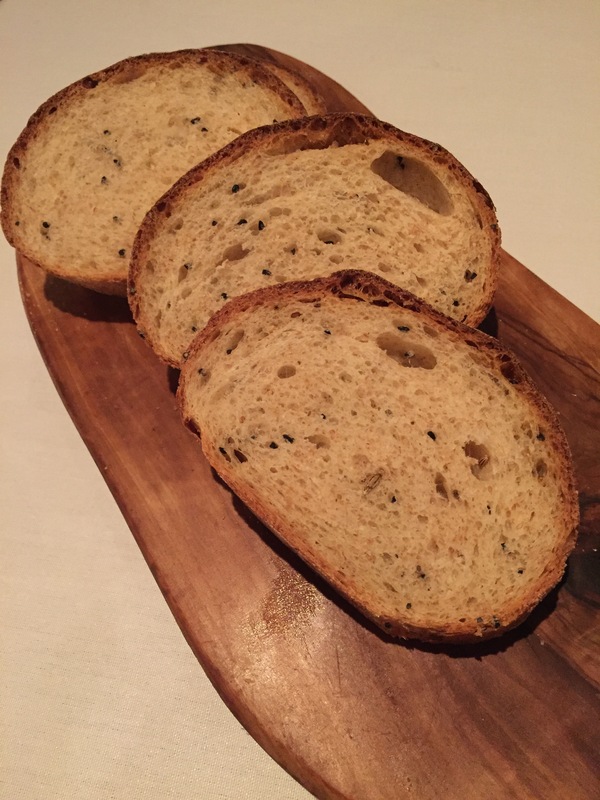 The bread arrived at this point and was really good, crisp, with a hint of caraway. We ate both slices and were offered more. 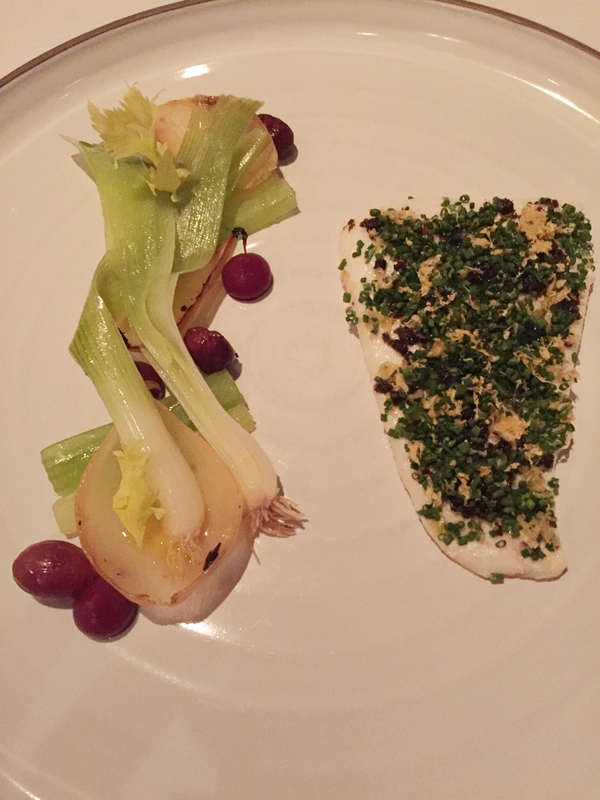 Both of us ordered TURBOT, celery, dried grape, verjus and caper (£24). C’s face puckered when he tasted the fish. A small, slim fillet, overwhelmed by its topping of unadvertised lemon rind and chopped chives, it was also over-salted. The fish wasn’t particularly firm and was slightly watery. I liked the grilled onion cups, but the “dried grape” added nothing. There was a sweet dark ketchup dotted around the leeks which I was told was grape. It had no place on that plate and jarred with the citrus and the onion, an altogether unpleasant combination. Trying too hard to be trendy, what with its onion cups and soft leeks (which in my view would have been better charred) this course was poor. 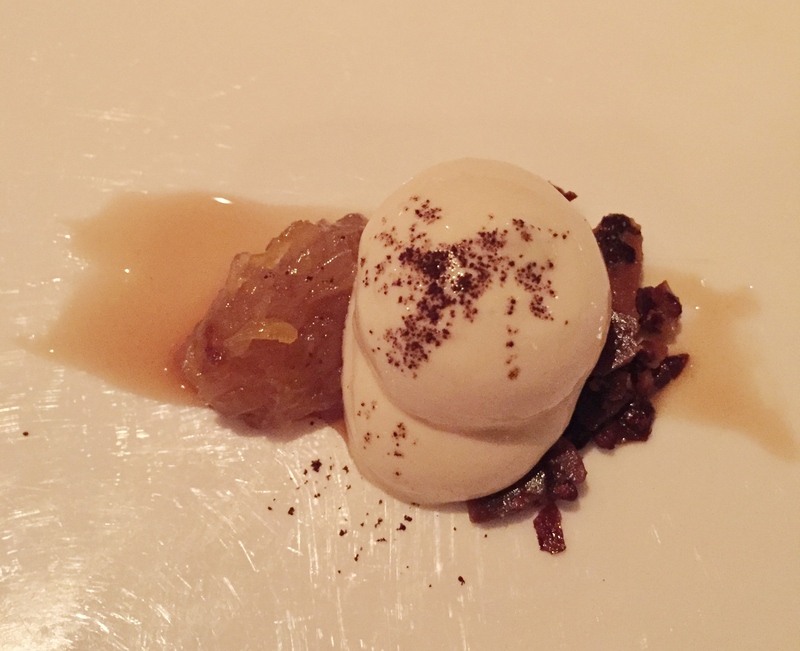 A pre-dessert of coffee espuma and a jam was rendered inedible in part by the crystallised coffee chips which had been overcooked to the point they tasted mostly of carbon and were bitter and unpleasant. I can’t believe that someone actually tasted them before they let them out of the kitchen. C liked his Macadamia chocolate dessert “far more conventional and all the better for that“. Not wanting to brave more kitchen ambition, I had decided on cheese. There was a detailed and thorough explanation of the all-British cheeses on offer and I took a plate of four, all of them good, well-kept and served with a decent selection of crackers. We sat for 20 minutes with our finished plates in front of us before we finally resorted to the waving hand gesture to ask someone for the bill. Our plates were left on the table throughout the wait and the paying. Judgement: This feels like a restaurant trying to get a Michelin star, with ambitions to be taken seriously. 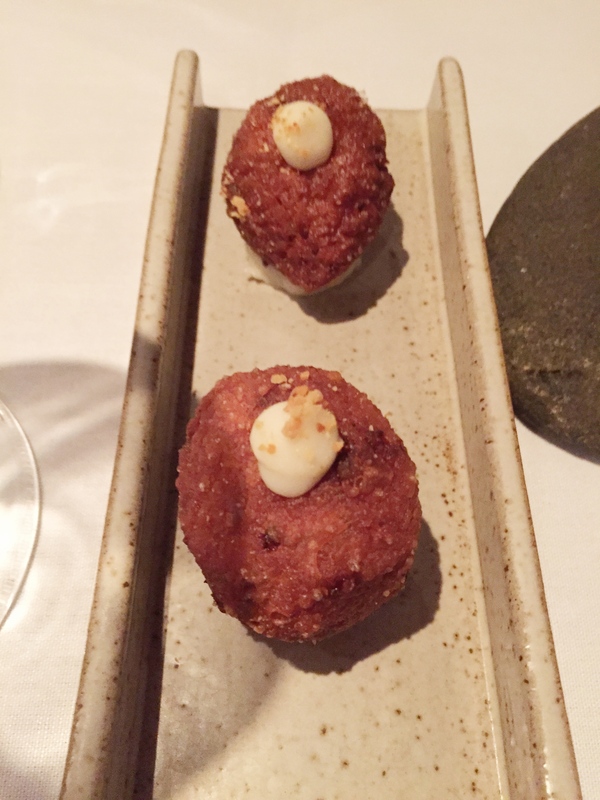 It has all the trappings of a serious restaurant, the extra courses, the formal presentation, the numerous waiting staff and the tasting menus, but the food just isn’t up to the mark. 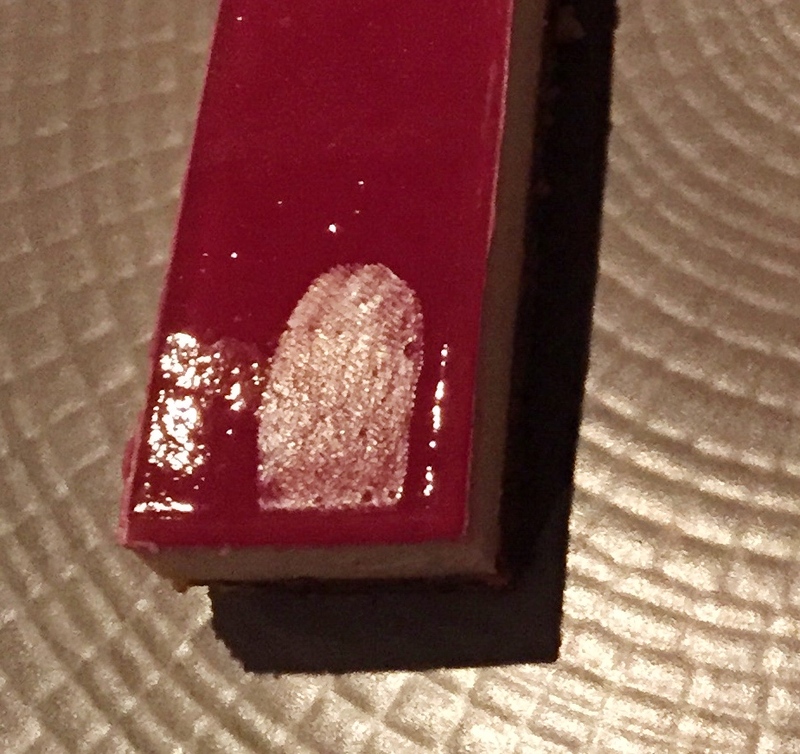 I shouldn’t have to look at a fingerprint on the foie gras glaze, it smacks of sloppiness. There isn’t much competition in Henley and I can’t imagine that this would survive in London, where there are so many doing this sort of food so much better. Form over substance, this is the sort of restaurant that has me gnashing my teeth with frustration. We don’t need the amuse. We don’t need the extra courses. We just need well-cooked food with a bit of soul and less of the tricksiness. If the chef is really wedded to this style (and I question this for Henley, frankly) I’d suggest a visit to Fera, or Lyles, or Clove Club, or Social Eating House. There are good ideas here and a lot of effort, but too many dishes are not sufficiently well-executed. And no, I didn’t complain. When so much is out of kilter there is no point. To me, the emphasis is wrong; it’s the sort of restaurant that makes me sorry for the local punters who might think that this is fine dining. In an area ill-served by good restaurants, we could get in at short notice on a Friday night. There’s a reason for that. Wow that’s pretty harsh! Do you mind me asking what your qualifications/experience are in the food industry to qualify you to make this kind of judgment? In the absence of thirty years in food (as opposed to law) and the credibility that might go with it, I doubt I’m alone in questioning whether you ought to be publishing what is – by your own admission – something you’re writing “just for pleasure”. I’m not a food professional but I’m a very keen home cook and I have eaten in literally hundreds of restaurants and I do feel that I know the difference between good and bad. This is my subjective view of what I thought was a poor meal. I rarely post negative reviews (look at my posts) but I felt that parts of this were so bad I felt it was appropriate. I don’t think you need to be a restaurant professional to know if food isn’t as it should be in the same way you don’t need to be an actor to recognise a poor performance. Where things are good, I say. I’ve no desire to be unfair, really, and I’m careful to be as accurate as I can be -I just give my honest opinion and if people don’t agree, that’s obviously fine. Is there not though a big difference between recognising a poor performance and slating the actor in public forum? I wonder if that’s best left to the professionals. In one sense, your eloquent use of language is what I struggle with most because your writing does present as that of someone with professional expertise rather than amateur experience. I’m certainly not suggesting you’re pretending to be anything you’re not but to be fair it is the kind of writing style which will influence some readers (which no doubt demonstrates your skills as a lawyer!). I find that kind of a big deal when someone’s professional reputation and business is at stake. It’s not that far off the lawyersfromhell.com syndorme is it? Anyway, thank you for publishing my comment when many would have ignored it (and there are a couple of (genuine) compliments in here somewhere I think!). I’m not sure I entirely agree. I don’t think you need a qualification to write well about restaurants, some of the best reviewers don’t have a background in restaurants and not everyone shares the same taste. I wasn’t trying to slate, just give an honest opinion. I really did try to be fair and give credit where due and if I thought it was a one-off, I’d have gone back before writing it as I’ve done on many occasions with others, where I have thought that the kitchen was just having a bad night. There were too many errors, things just tasted bad/wrong that my judgement (and it is only ever a personal judgement) was that the review was fair.If you think it’s too harsh, I will think about that and re-read in the cold light of day but if you look at my blog I very rarely do a negative review – because I try to go to places I think I will like. I never set out to do a negative review and I’m very conscious of the investment and effort that goes into an operation like this. I do appreciate the feedback and thank you for taking the time. Does Jay Rayner have an A level in restaurant appreciation? I’m reasonably sure that if he’d found a sous chef’s fingerprints in his fois he’d have been appreciably ruder. I’m sure you’re right. I think it speaks for itself.